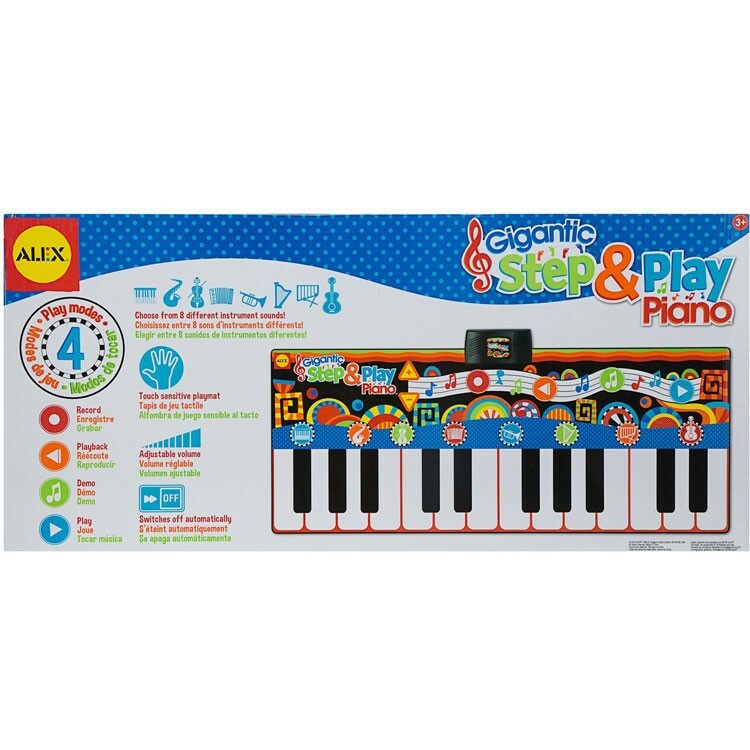 The whole family will enjoy playing music on this Alex Toys' giant stomping piano play mat, that comes with 24 keys, and tons of fun sound effects. 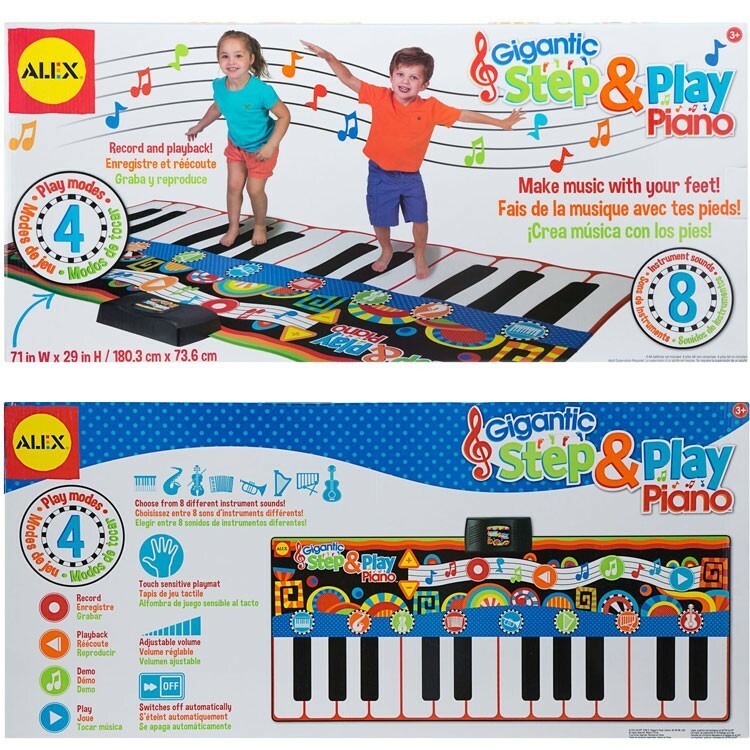 Now you can play music jumping from key to key right on the floor! 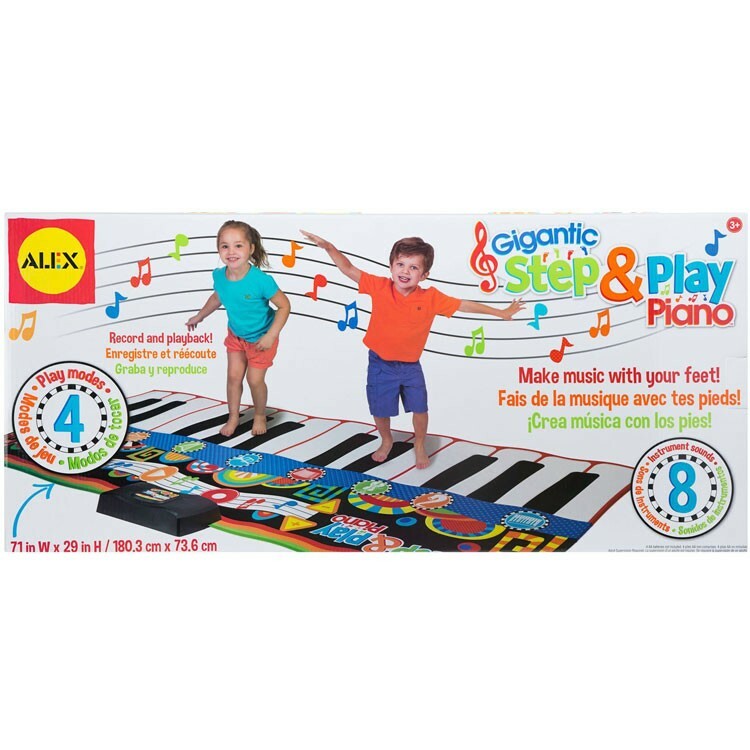 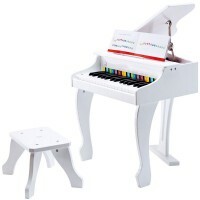 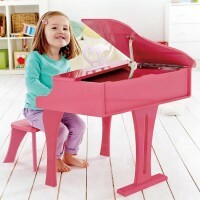 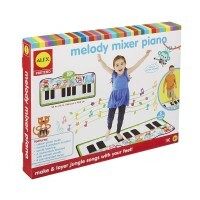 Gigantic Step & Play Kids Floor Piano by Alex Toys will bring hours of musical fun for kids of all ages. 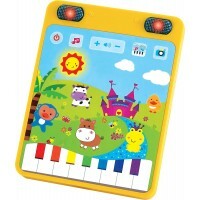 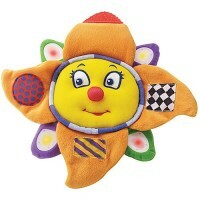 Your child (or you) can choose any of 8 included musical instruments and 4 play modes. 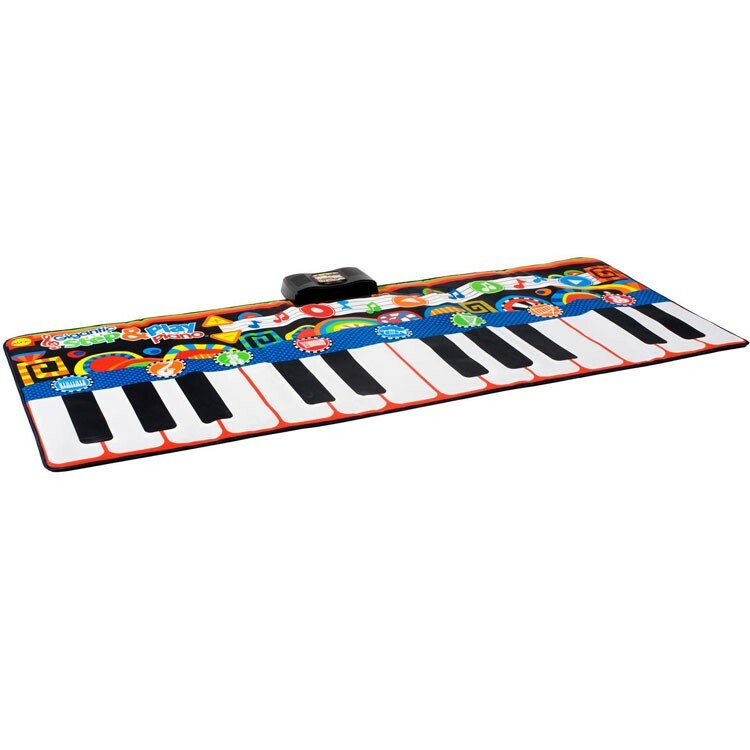 Add the rhythm that you like to produce the dance beat, that you like to follow. 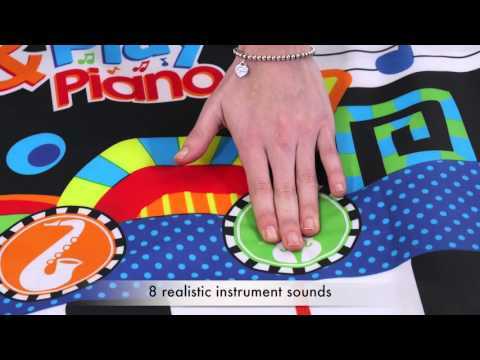 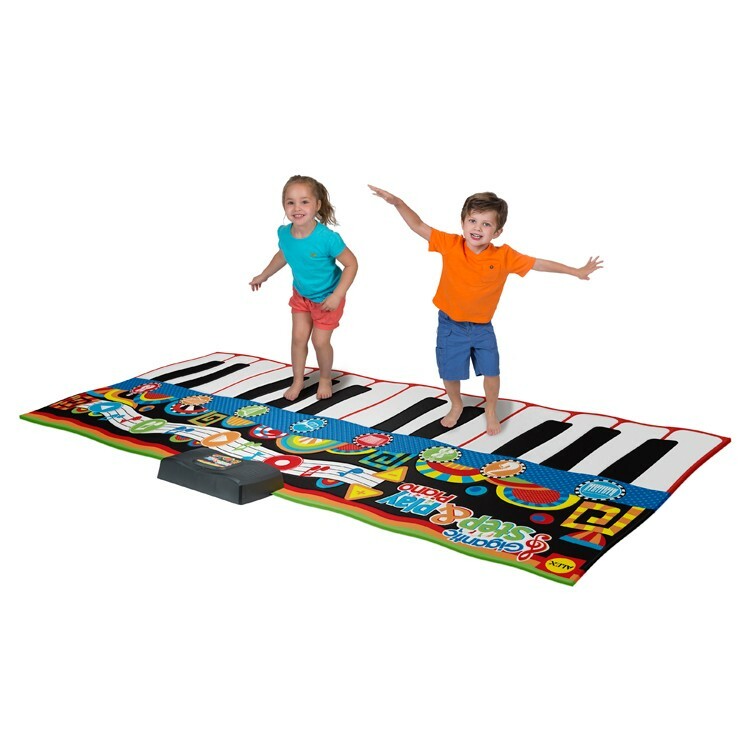 The giant floor piano mat has 24 keys, and special recording and playback features. 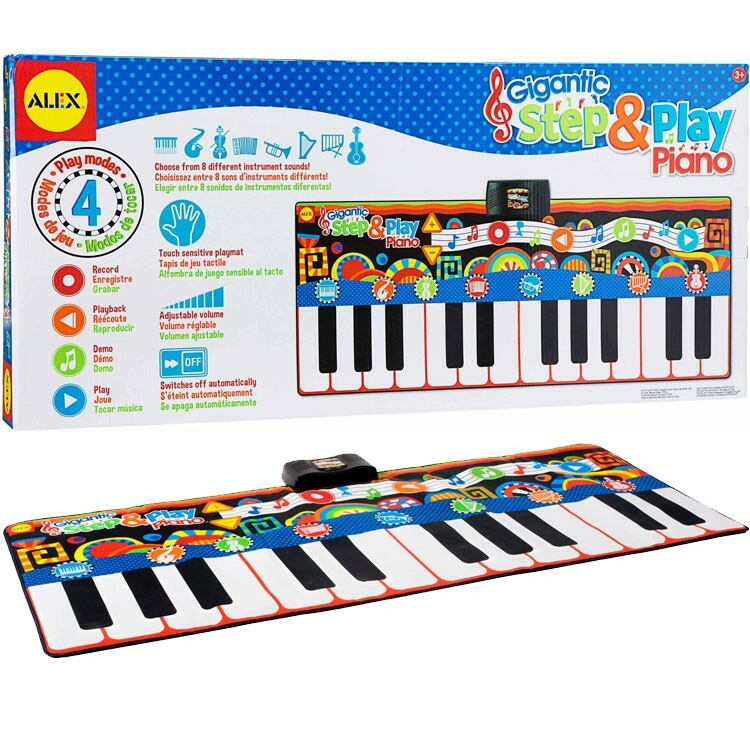 Follow the enclosed instructions to play popular kids tunes, or your young Mozart can compose his own step piano symphony. 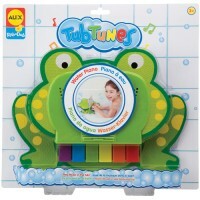 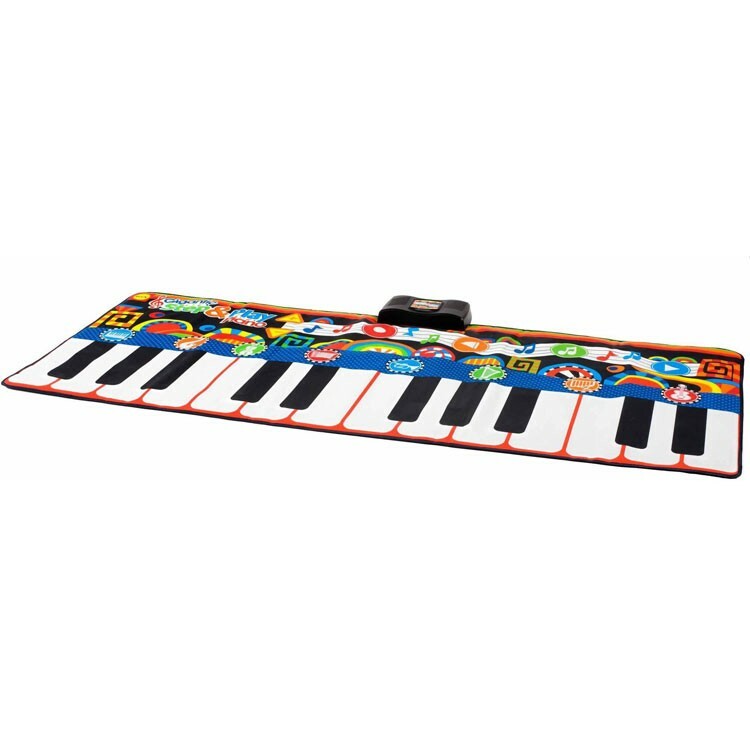 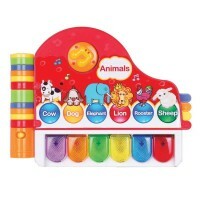 Bring creative musical entertainment for your child and the whole family with this amusing toy piano mat. 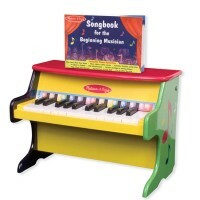 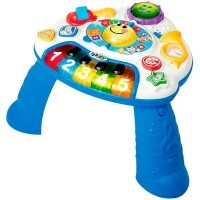 This all kids favorite foot piano is made of durable vinyl and stretches to a giant 71 x 29 inches. 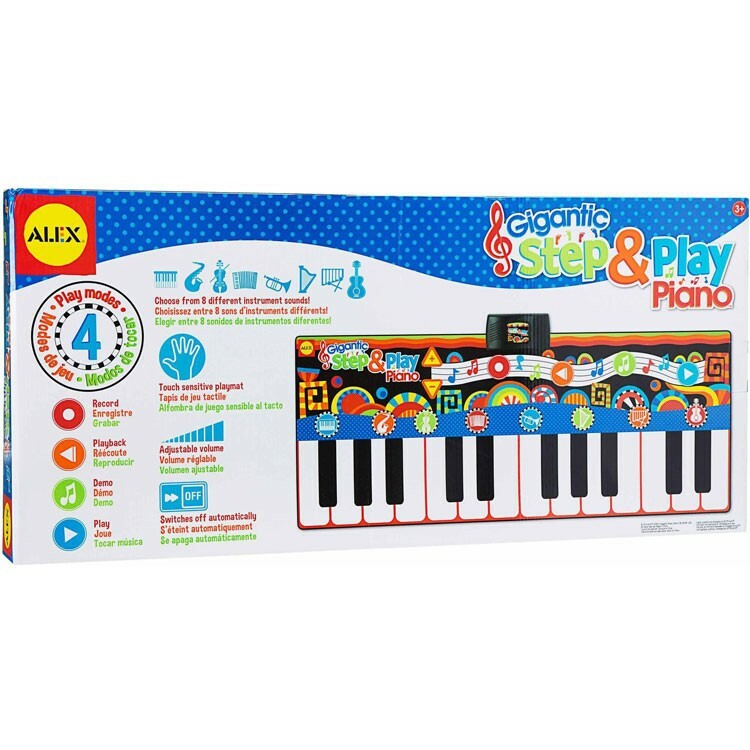 The Gigantic Step & Play Kids Floor Piano from Educational Toys Planet requires 4 AA batteries (not included). 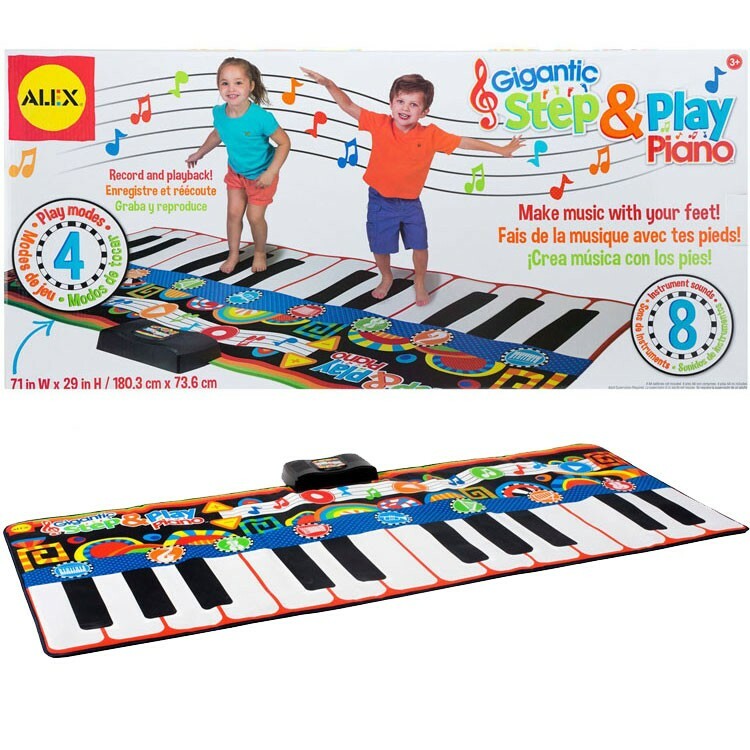 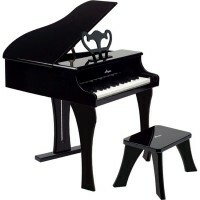 Dimensions of package 3" x 33.5" x 15.5"
Write your own review of Gigantic Step & Play Kids Floor Piano.